Supporting Early Career Researchers at all stages of their careers is one of the major goals of RESOLV! The ECRs consist of ECR group leaders (e.g. 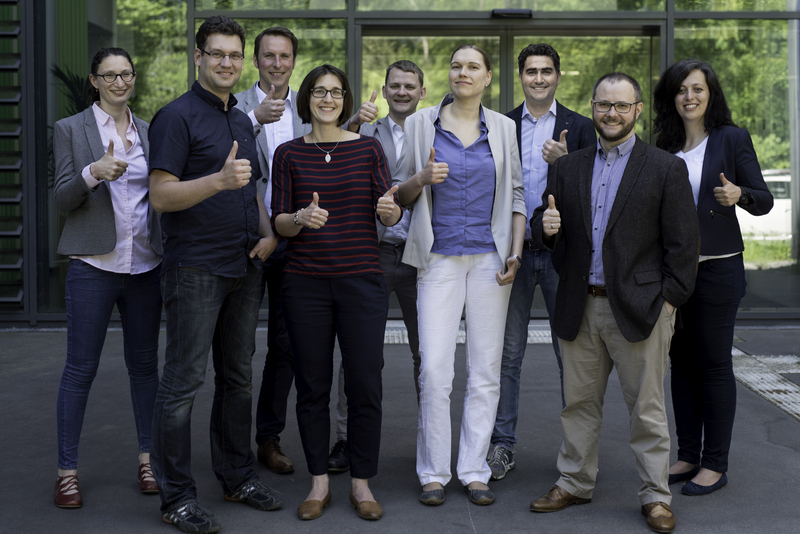 Junior Professors, Emmy Noether group leaders), postdocs and Ph.D. students working within RESOLV. Early career research group leaders do not stand in the shadow of tenured researchers at RUB but work independently with equal rights. They have access to the full infrastructure and financial means provided by RESOLV and also to the core facilities of the Research Department Interfacial Systems Chemistry (RD IFSC). RESOLV not only supports them scientifically but in many other respects, for example by providing a budget for career coaching and soft skill courses on advanced leadership skills, time, and finance management, to name but a few. The ECR Board is elected annually in the ECR General Assembly. The ECR Board meets four times a year to discuss and organize the RESOLV ECR activities. Inorganic Chemistry 1, Bioinorganic Chemistry Activation and formation of biologically and industrially relevant small molecules.